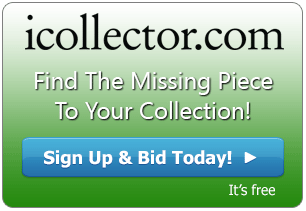 Welcome to the “Winter Assemblage Collection” by Pangaea Auctions. They are offering up 560 lots that will hit the auction block on December 10th, 2016 with a no reserve start price that is 25% of the low estimated value. The “Winter Assemblage Collection” represents a collector’s quality selection of Chinese, Native American, European, and American antiques, jewelry and collectibles of the highest quality and importance ranging in historical periods from prehistoric to 18th Century to the 20th Century. A spectacular lot line up for bidders with enough variety to suit every collector ranging from the 18th century to 20th Century with museum quality items. Absentee bidding is available right up until auction day, with the live action kicking off at 8AM Pacific Time. 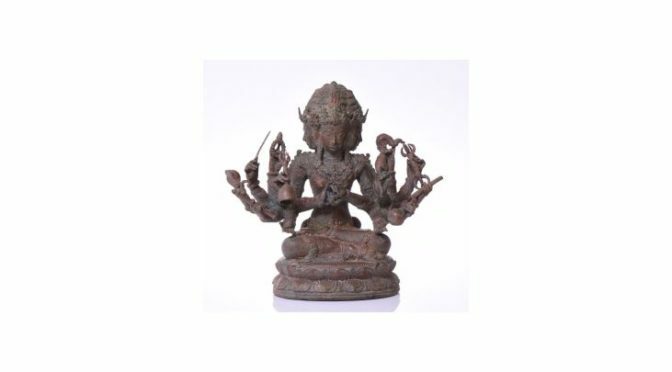 The auction kicks off in fine style with Lot 1 presenting a Rare And Magnificent Museum Quality Solid Copper Alloy Sculpture From The Kingdom Of Badung Royal Palace Depicting The Hindu Deity Brahma In A Seated Position. This solid sculpture is believed to be made from melted ancient copper coins. Chinese coins were first introduced to Bali around 175 BC and this rare piece is estimated at up to $50,000 in investment value. A selection of photos is showing in the online catalog and this auction piece was purchased from The Governor’s Office in Denpasar the capital of Bail. A beautiful Indonesian artifact comes through the auction block at Lot 11. This is a Rare Exquisite Indonesian Mastodon Bone Carving Of An Elderly Scholar Or Priest. Prehistoric Mastadons are extinct distant relatives to elephants that inhabited North and Central America during the late Miocene or late Pilocene era. They became extinct from 10,000 to 11,000 years ago. This incredible piece is carved from one of the bones of these ancient animals and the photos are a must see in the online catalog. Bidding opens at only $500 for this display quality carving. A very special 1922 Church Commissioned Bronze And Stained Glass Holy Water Vessel Depicting Mother Mary Praying Over Baby Jesus And Holding His Hand is available at Lot 36. There are four other scenes on the sides of this piece and it has a feature where an electric cord from the church was ran to a small light behind stained glass. There is only one of these pieces known to exist, and it is available here at the auction, and is estimated at more than 50 years old. The estimated value of this is between $3000 and $6000.